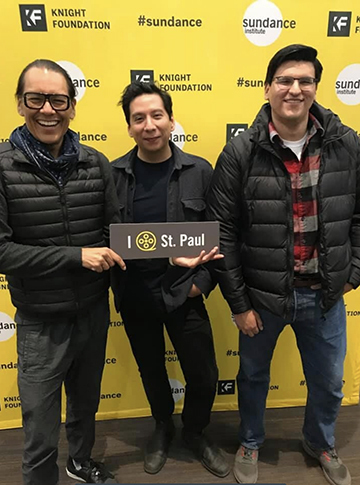 This is not the first time – nor will it be the last – that the prestigious Sundance Institute’s Indigenous Program has visited Minnesota. T­he Program has been steadily building relationships with Native nations, local arts and cultural organizations, and Indigenous filmmakers in Minnesota going back several years. An Experimental Nonfiction Workshop and two Indigenous Short Film screenings in March – one at the Walker Art Center on March 7 and the second at Metropolitan State University on March 22 – marked the culmination of the Indigenous Program’s month-long series of programs focused on Indigenous film and filmmakers in Minnesota. The free Experimental Nonfiction Filmmaking Workshop was held on March 23 at FilmNorth in Saint Paul. The Indigenous Program hosted the workshop with support from the John S. and James L. Knight Foundation and in collaboration with FilmNorth. 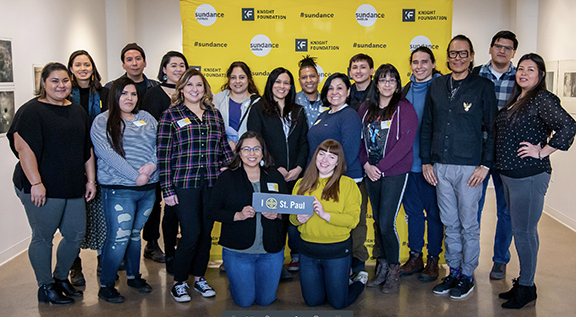 With the Indigenous Program’s commitment to supporting Native filmmakers and giving them several platforms to tell their own stories from the annual Sundance Film Festival to filmmaking labs, fellowships and workshops, the collaboration between the two organizations was a natural fit. FilmNorth’s mission is to empower artists to tell their stories, launch and sustain successful careers, and advance The North as a leader in the national network of independent filmmakers. The organization achieves its mission by nurturing a vibrant, diverse community of film and media artists; providing education and resources at every stage of their careers; and celebrating their achievements. “FilmNorth has a great history and reputation of supporting independent artists from the region and has a great reach in the arts community of the Twin Cities and tribal regions,” notes Runningwater. “I think some people are surprised to know how diverse the Twin Cities and Minnesota are,” says FilmNorth Executive Director Andrew Peterson, who used to work for Sundance Institute and also programmed the Provincetown (Mass.) Film Festival. “We have the largest Native American, East African and Hmong communities in the U.S. – and FilmNorth’s programming focuses on engaging all underrepresented communities. As a result, we brought outreach and advice to the Sundance Institute’s Indigenous Filmmakers Workshop,” said Peterson. “In addition, we’re seeing talent in front of and behind the camera emerge – participating in year-round classes and workshops at FilmNorth – so we’re excited to see more filmmakers emerge,” notes Peterson. Local Indigenous storytellers went through an application process to be selected to participate in the workshop. 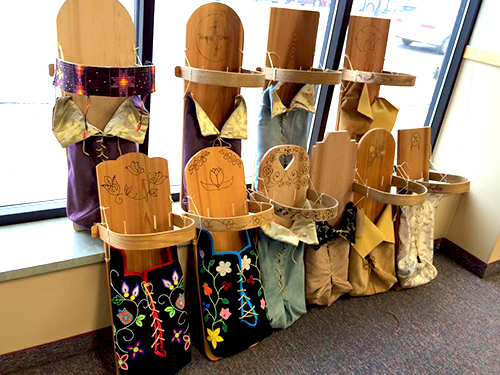 They were chosen on the basis of “a strong interest and drive to want to tell stories,” says Runningwater, whose workshop role was to facilitate and get to know the participants and build a connection with them. Workshop topics included Indigenous aesthetics, oral tradition and narrative as well as cinematic approaches to Indigenous storytelling that aren’t entirely rooted in conventional methods of cinema. The 15 participants represented many Native nations, including: Arapaho, Bois Forte Ojibwe, Comanche, Dakota, Diné, Kickapoo, Long Plain First Nation, Nez Perce, Northern Arapaho, Oglala Lakota, Osage, Rosebud Lakota, Sisseton-Wahpeton Oyate, Standing Rock Sioux, Waskaganish Cree and White Earth Anishinaabe. Renowned artist and filmmaker Sky Hopinka (Ho-Chunk and Pechanga) led the workshop. 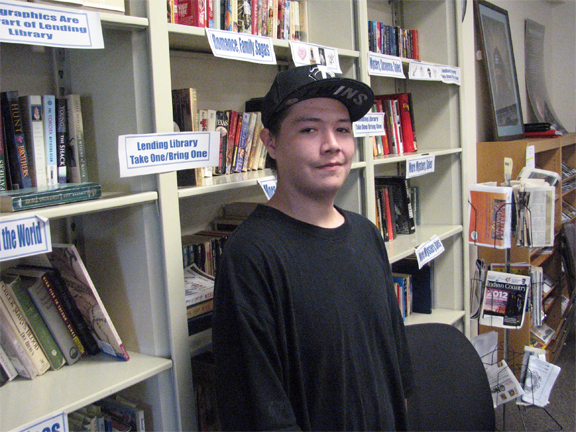 Hopinka is an awardee of a grant from the Indigenous Program. “They’ve also given me a grant in the past for a feature film I’m working on, and have been supporters of my work for a number of years,” says Hopinka. Hopinka’s video work centers around personal positions of Indigenous homeland and landscape, designs of language as containers of culture, and the play between the known and the unknowable. His work has played at various festivals including ImagineNATIVE Media + Arts Festival, Images, Wavelengths, Ann Arbor Film Festival, Sundance, Antimatter, Chicago Underground Film Festival, FLEXfest, and Projections. His work was a part of the 2016 Wisconsin Triennial and the 2017 Whitney Biennial. Hopinka is currently a fellow at the Radcliffe Institute for Advanced Study at Harvard University. “My goals for the workshop were to have an open and honest conversation about my practice and thinking, and to listen, hear and answer any questions the participants had,” says Hopinka. “Our goal for the workshop was to connect with new artists and by having them work with Sky find fresh ways for them to tell their unique stories and maintain their own unique authenticity and voice,” says Runningwater. Leya Hale (Dakota and Diné) was one of the workshop participants. She is a Producer at Twin Cities PBS. Since 2013, she has won several awards for her work. Most recently, Leya received a 2018 Upper Midwest Emmy Award for “Climate Smart: Cities Working Together” for Best Science/Environment Documentary. She was selected as a Knight Fellow for the 2017 John S. and James L. Knight Foundation through the Sundance Film Institute and was selected for the 2018 Big Sky Film Institute Native Filmmaker Initiative Fellowship program. For info, see: www.sundance.org/programs/indigenous-program, and www.myfilmnorth.org.